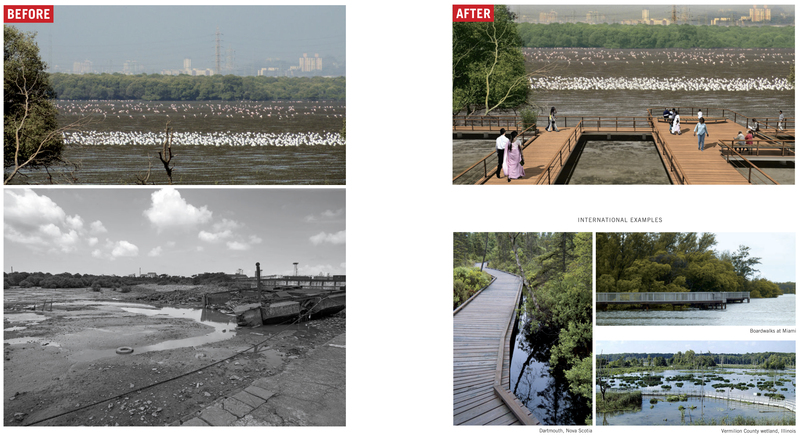 Taking a slight segue from the general narrative on our blog, I would like to introduce an extremely interesting phenomenon that is currently taking shape in Mumbai- articulating the need for “open space” in the city. Architect P.K. Das recently launched a phenomenal exhibition at the National Gallery of Modern Art (NGMA), Mumbai titled “OPEN-MUMBAI- Re-envisioning cities, the case of Mumbai”, an exhibition that re-imagines and expands the notion of public spaces within the city. In a dense and over-populated city like Mumbai, creating open spaces within the city has historically been a practice of community agency and participatory politics. Either through vote bank politics or through the support of religious trusts, or through sports clubs, open spaces are created and protected from being occupied. However, these efforts do not provide the necessary respite and pervious ground the city requires, making open space one of the many most contested planning issues in the city. Architect P.K. Das takes this issue up and extends the idea of open space over every conceivable “natural asset or eco-sensitive” zone to make open space accessible to the city. Here Nullahs (open storm water canals), rivers, creeks, mangroves, lakes, ponds, tanks, seafronts, beaches, hills, forests, city forests, gardens, recreational grounds, historic forts, and railway stations all come under the radar of “greening”. As you walk along the halls of the NGMA, one iteration after another you see the city transform. 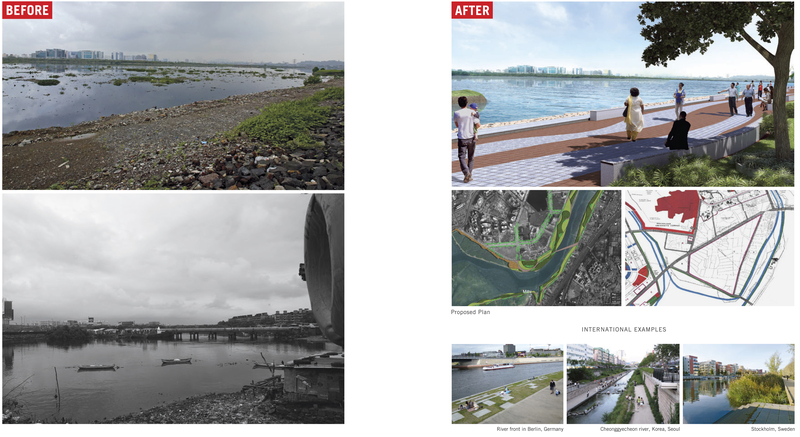 With a clear before-after model, Das presents images of polluted, garbage infested plots or canals that are then physically cleaned, or virtually rendered to produce an after image, pristine, landscaped and fantastic . Based on a series of “international case studies” (through select images) he presents prototypes of what can be possible; from the West to the East, the imagination for an ‘Open-Mumbai’ emerges out of a pastiche of different cultures, identities and uses of space- a global city dressed for global consumption. At the end of the long stairway was placed a map of possibilities with all the projects and iterations appliquéd on the fabric of the city, like a map from a lonely planet. Interestingly the base image is a high-resolution satellite image (possibly referenced from Google Earth) making this exercise of map-making a rather egalitarian process, which can be taken up by communities, political groups or neighborhood associations alike, to participate in the process of remaking the city (or seemingly so!). This adds yet another layer of complexity to this exhibition and its openness to engage different voices of the city, even those most often overlooked. However, a series of awkward encounters and questions emerge from this dialogue that not only, question the very act of opening up the city as a mere act of green-washing or beautifying the city, without addressing the politics of space making, but also, disregard the inclusion of community voices within the process of space making. That nullah picture reminds me of Paul who came to our studio in the first year and told us provocatively “If this was Amsterdam we would have ducks swimming in the nullah” !!!! You forgot the ducks PK! Yes, you totally missed the exhib at NGMA, but if you’re lucky you might still catch it at the Nehru Science Center–P.K. was given an extension by some state officials who were ecstatic when they saw the exhibition. It has now entered the political realm quite seriously. 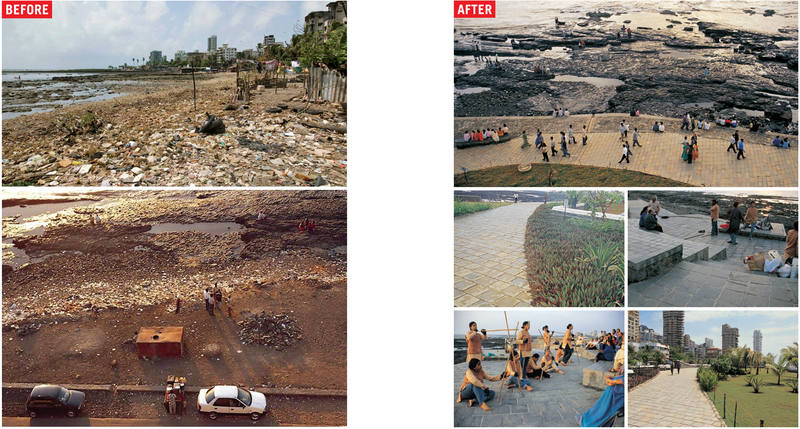 I was hoping you would add to this conversation with your experiences from the Juhu public spaces project and Juhu Moragaon. In fact the second half of my post will try and touch upon some related questions and dilemmas. It will be interesting to build this thread together. 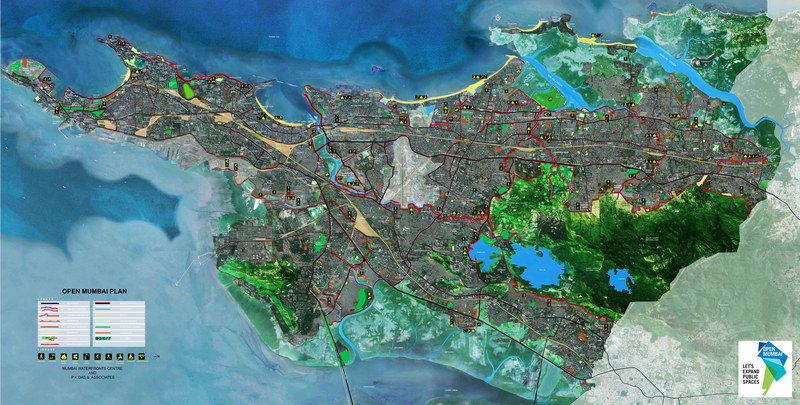 We are working on the implementation of soft response option with New Zealand’s scientists and authorities.Given the scale of problems in Mumbai, it could open a new opportunity to come from the protective angle in order to get more traction in greening Mumbai. Sorry about my tardy response. You are extremely right in pointing this out, I believe there is some work being done with respect to climate resilience and sea water rise in terms of informing the coastal regulation zone policies (CRZ1, 2, and 3). However, I am not very familiar with the details–if you are interested, I could put you in touch with friends who are working on similar issues and maybe in better capacity to answer your questions. Also, running these questions by the team at Ar. P K Das’ office might be a good idea. Sorry I can’t help more. I am not a climate specialist nor environmentalist so my knowledge in this respect is very preliminary. From a recent conversation with the Director of the Clinton Climate Initiative in India, I gathered that a lot of efforts in the Indian context are targeted at achieving carbon neutral results, and not so much even thinking of carbon negative. Hence, looking at soft-responses and climate resilience is a conversation that is yet slowly evolving in the sub-continent. Thanks for your response. Given that Mumbai is one of the 75% of the world’s mega-cities located by the coasts, it’s a great idea to join forces to get things going. I’d appreciate, if you would connect me with locals. Coastal resilience should be one aspect of this movement. 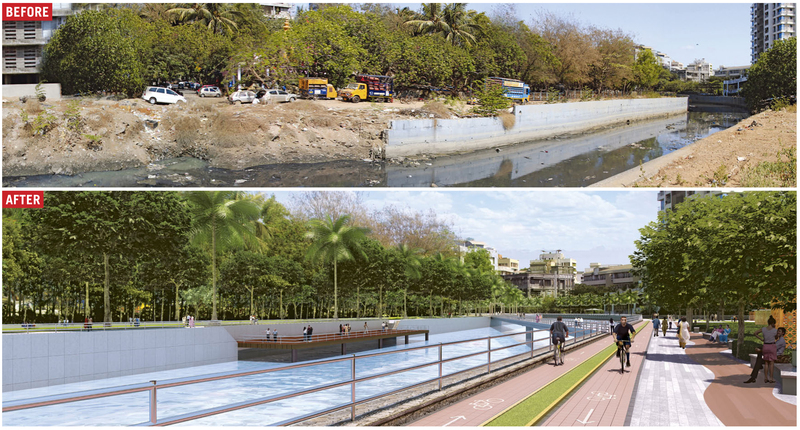 In Mumbai I see a particular urgency to connect the dots and incorporate the coast into the urban revision. There is a lot of old thinking around that give more attention to markets than to people. I’d like to help turning this fatal trend towards people-centered environments. India, and especially Mumbai, is role-model for the developing world. It can be a beacon of the new.